4 Bedroom Link Detached House For Sale in Houghton Le Spring for Asking Price £245,000. Stop the search, the perfect property has arrived on the property market and is available with no forward chain. 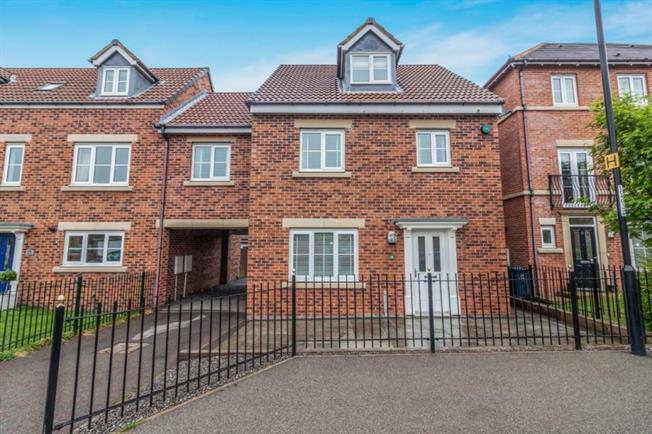 This stunning four bedroom link detached property will surely impress everyone that views. Located in Penshaw, Byerhope sits in a fantastic part of the north east famous for its beautiful monument and positioned well being very close to both Washington and Sunderland. Byerhope itself is a very quiet estate and is considered to be the one of the most afluent locations in Penshaw. The property itself is simply incredible, with some amazing features like under floor heating throughout much of the property and built in sound adjustable sound systems built into various rooms in the property, the quality of living on offer is a step beyond the norm. Upon entry to the property you will find a bright and airy entrance hallway with wonderful tiled flooring leading to a lounge, bespoke kitchen with fitted appliances and a downstairs WC. The first foor consists of a further three bedrooms with a recently fitted family bathroom and an en suite bathroom to one of the bedrooms, the bedrooms are all of a generous size and would suit a families needs perfectly. The second and top floor is home to the master bedroom and second en suite bathroom. The quality of each room is superb and must be viewed, be sure to act quickly on this property is it wont be on the market for long.